This week, our students have started expressing an interest in horses. 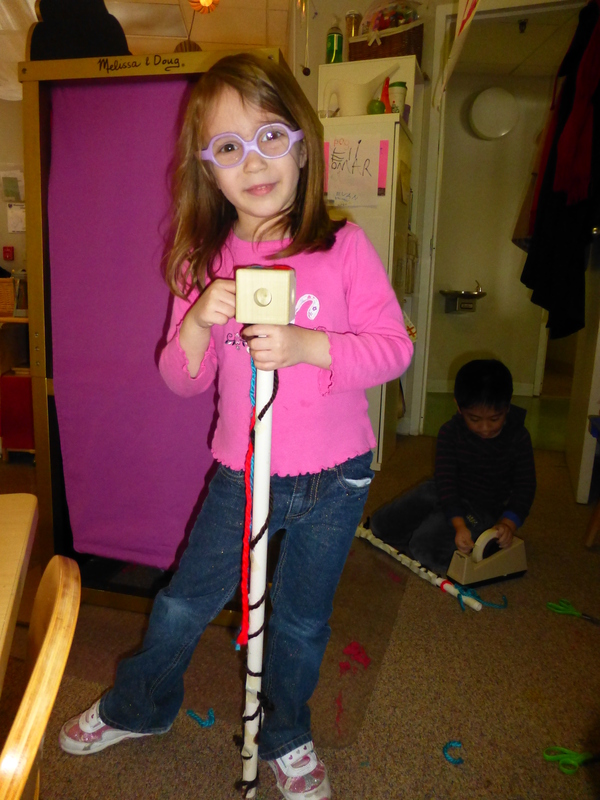 The inspiration came from one student who decided to dress up one of our toydle blocks with yarn. She started by adding some yarn for a mane, then some for reigns, and finally some yarn for a tail. As she galloped around the classroom, many little heads popped up and wanted in on the fun! Soon we had horses with rainbow-colored hair and spiral-shaped stripes on their bodies. It was pretty clear that this would be our new topic of study! ← WTN’s Northbound Trail in the News!